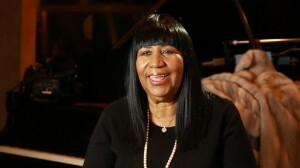 Moon Kochis Productions was hired to record Aretha Franklin for BET’s Honor Awards honoring musical artist Chaka Kahn. Shooting with MKP’s Canon 5D MKIII, The Moon Kochis crew met up with “The Queen of Soul” on location at a Metro Detroit recording studio, where she was producing new albums. The set-up and shoot went quick and smooth, allowing Ms. Franklin to get back to her on-site producing.